UAB Hidraulit is a young and promising company with wide technological possibilities for different metal processing tasks. The company provides turning and milling services to the customers from Lithuania and foreign countries. 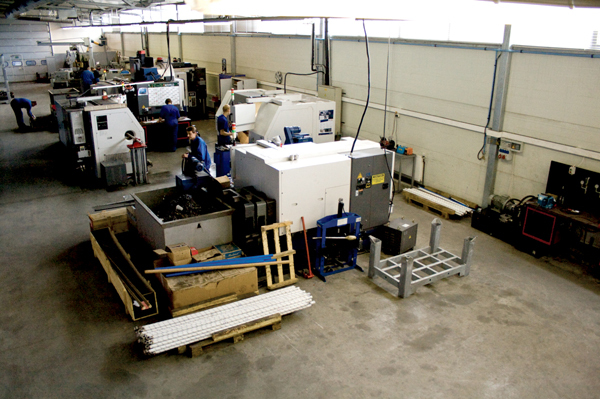 Turning and milling is carried out by CNC controlled equipment. Precision mechanical components, structural elements and other products requested by customers are produced by programmable machines. UAB Hidraulit manufactures these products from steel, alloyed steel, stainless steel, aluminium, bronze and plastics. The company can manufacture the products from its own or customer‘s materials in small and average quantities. In addition to the metal processing services, the company also designs and manufactures different mechanical, hydraulic-mechanical equipment; manufactures and repairs the hydraulic cylinders; sells the hydraulic components for the industrial, transport and agricultural sectors. The experienced staff of our company will always assist you in finding the best solutions for your simple and complex tasks.